Maintenance is the key to having a good web site. Keeping the information up-to-date and exciting is essential to your success on the Web. If your visitors find information on you website is clearly outdated, not working with certain browser types etc., they may leave and never comeback. Amtech provides regular website maintenance services using Service Level Agreement at a reasonable cost and enjoys working along with the client towards achieving the best results. We have a variety of ways that help you keep the information fresh on your site with a minimum of time and effort on your part. Edit, revise, update or create existing or new contents (texts, graphics and images) on existing web pages based on the client’s request (in multiple languages) in accordance with the guidelines provided. 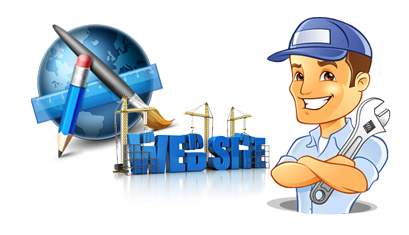 Repair of any malfunctions of links or interactive functionalities on the website. Maintain browser compatibility during browser updates and other technology changes occurred that may affect the functioning of the website. Maintain a backup of the WebPages through the duration of the contract. The backup will be delivered to the client upon closing the contract. Assist in the creation of promotional/announcement materials such as custom banners or popup notifications. Installations and FTP updates as required. Integrity checking (re-testing) of the web site after every change. Communication with third-party service providers on client’s behalf. Possibility to request urgent work on holidays and week-ends. Contact us to discuss your web maintenance needs today.